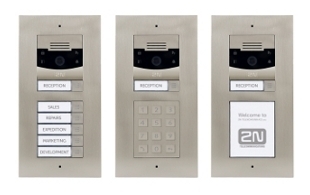 IP door entry systems are fast becoming an integral part of the telecom and security industry. The flexibility and control they offer over legacy analogue intercoms are one of the driving forces behind this transition. Join us for this webinar where we will go through our product range along with some benefits of using an IP intercom. The webinar will be ideal for VARs, security and home automation installers or anyone who is interested in finding out more information about how these products work and what they offer.